Dr. Beenfeldt poses with others from Renown who attended the recent Healthcare Heroes ceremony. 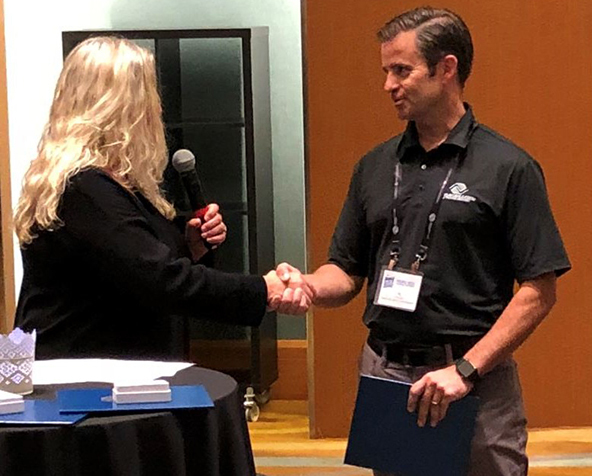 Ty Windfeldt, Hometown Health CEO and Renown Health Senior Vice President, was recently awarded the National Service to Youth Award from the Boys and Girls Club of the Truckee Meadows. This award is for Boys and Girls Club board members, employees of volunteers who have attained five or more years of devoted full- or part-time service to the organization. Ty has been working with the Boys and Girls Club for about 15 years. Throughout the years, Ty has been in numerous committee chair positions on the Boys and Girls Club executive board and is currently serving as its board president.